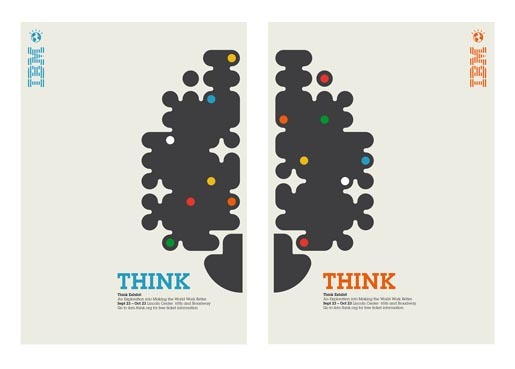 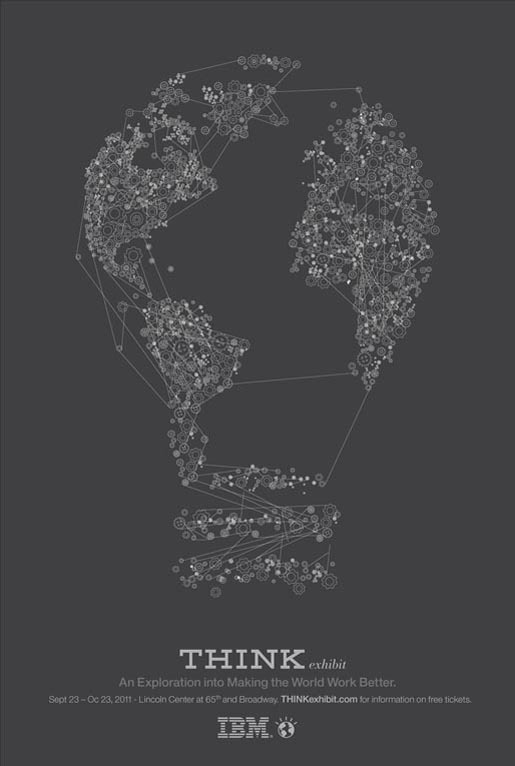 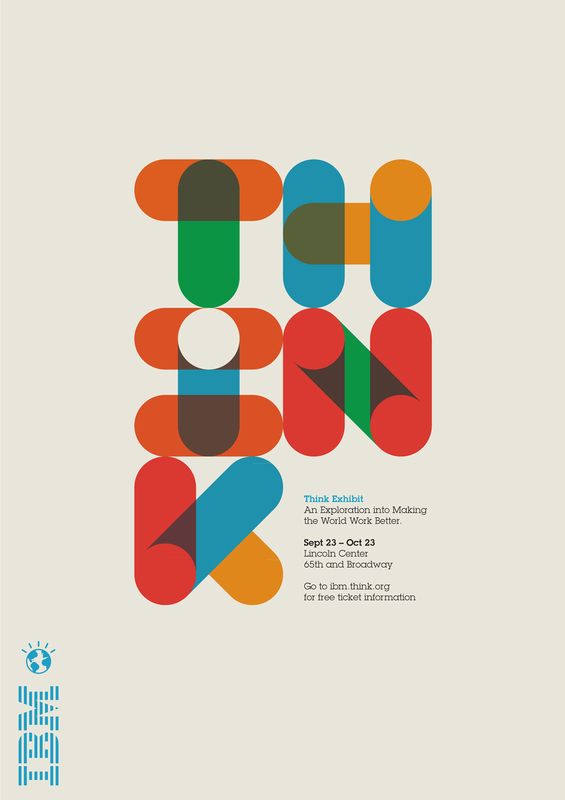 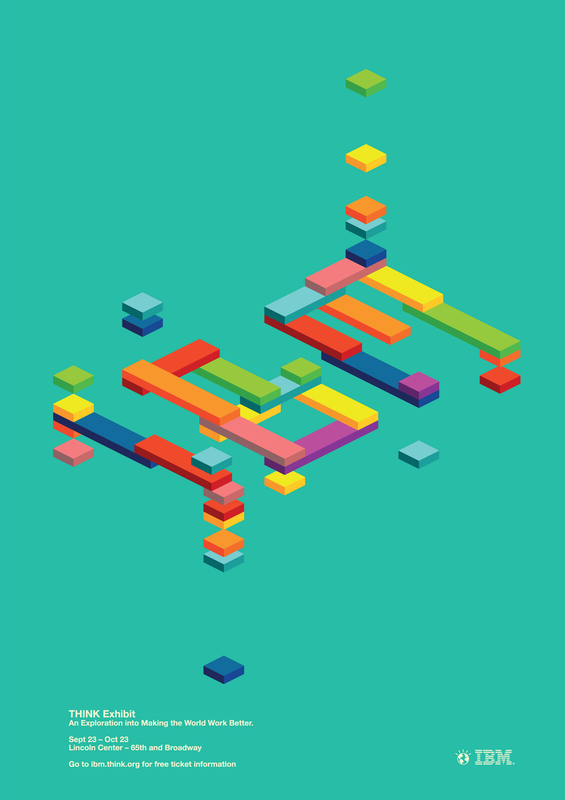 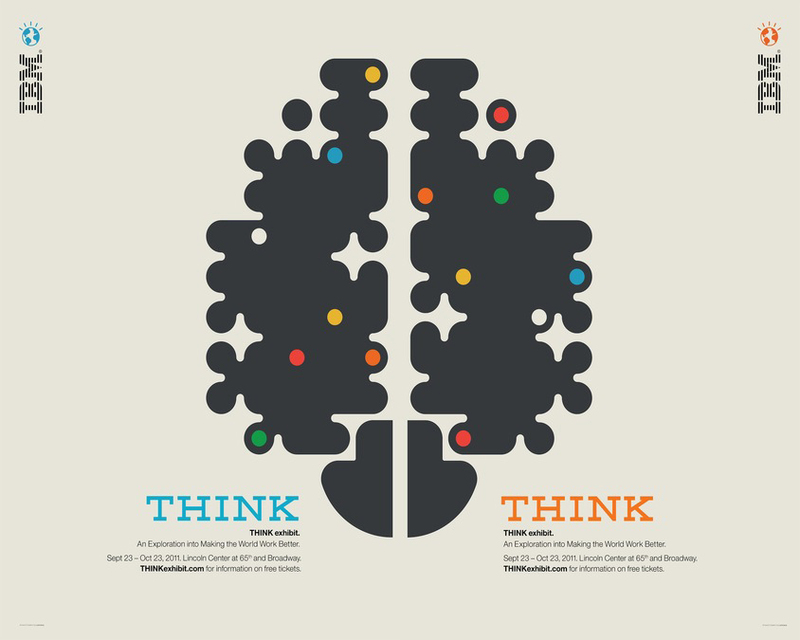 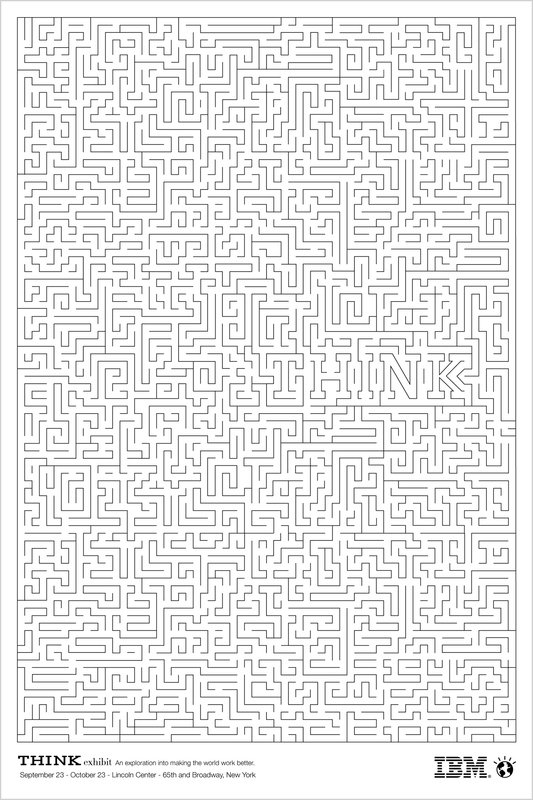 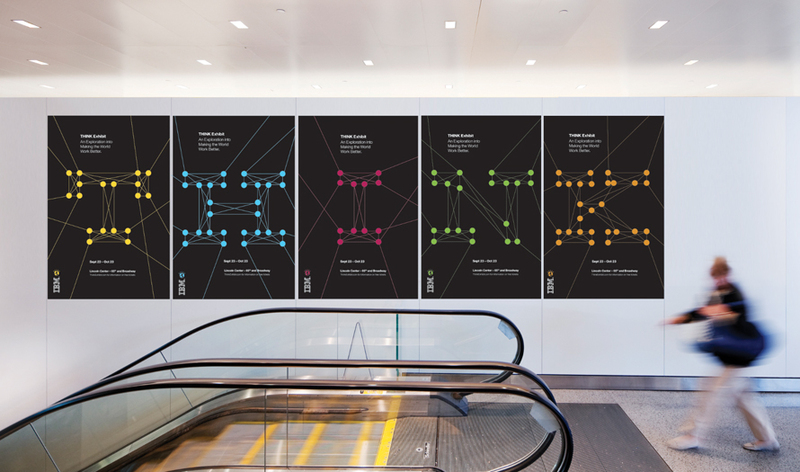 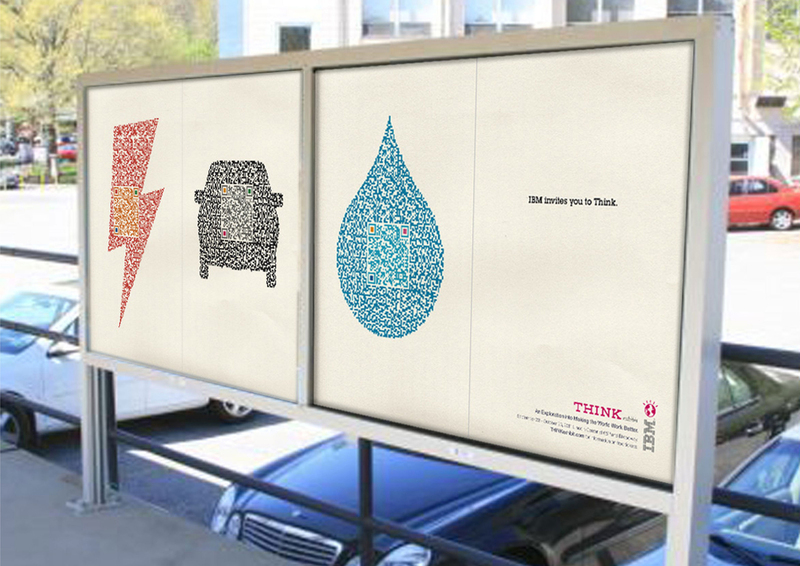 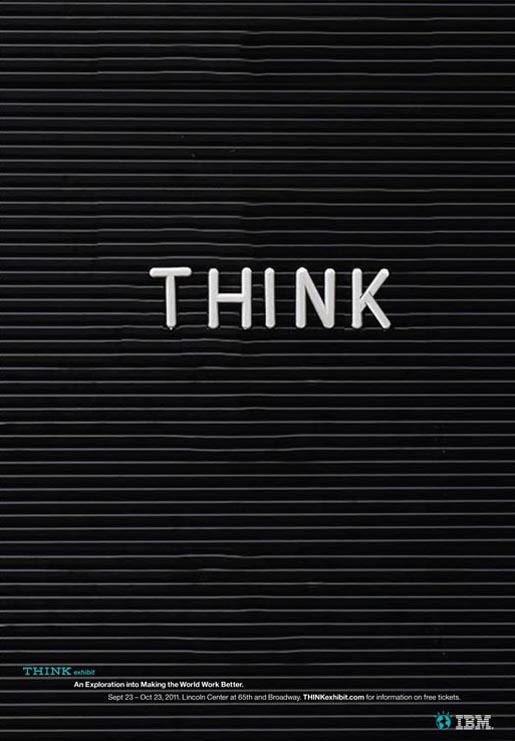 IBM’s Think campaign has won Gold at the London International Awards, following on from the Gold Design Lion at Cannes Lions 2012, Bronze Pencil in the One Show Design 2012 Awards, and Silver in Clio Awards 2012. 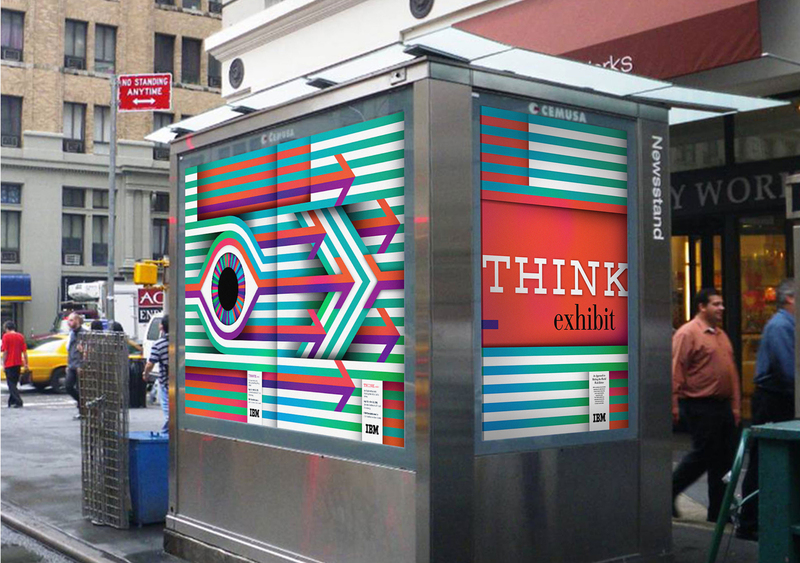 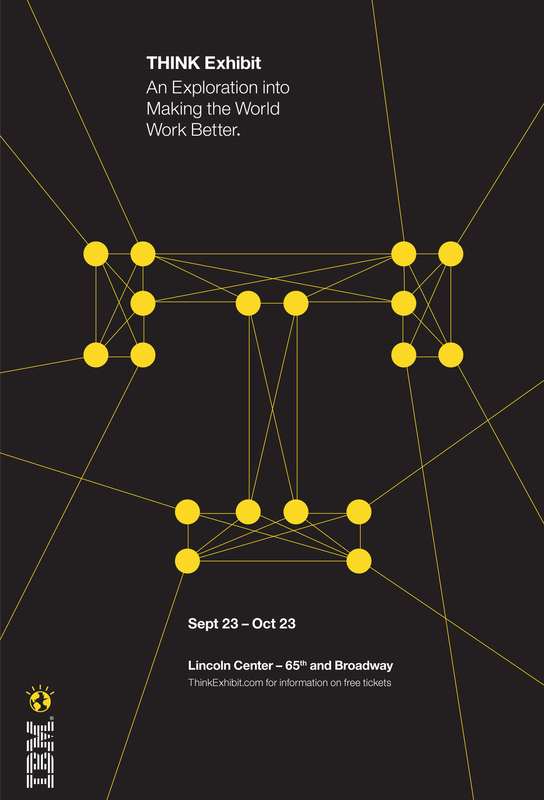 As a part of their centennial celebration, IBM created a public exhibit at New York’s Lincoln Center called THINK an innovative exhibition which combined art, science and technology. 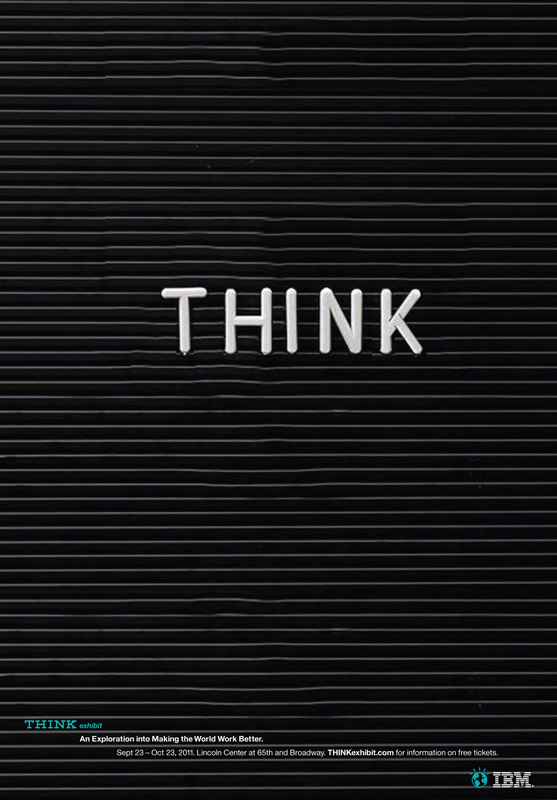 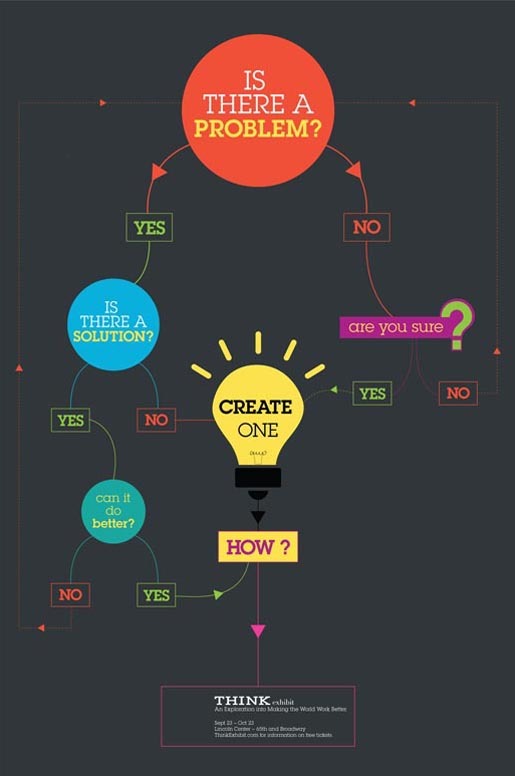 The event challenged people to do one thing: Think. 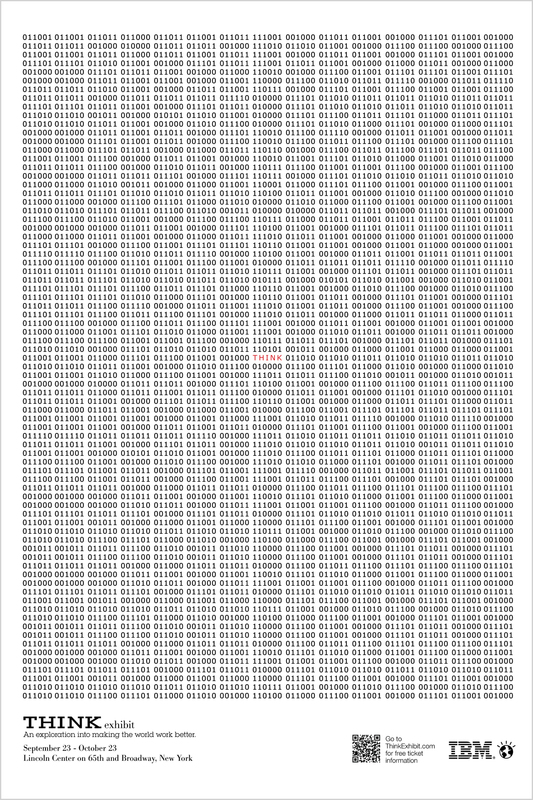 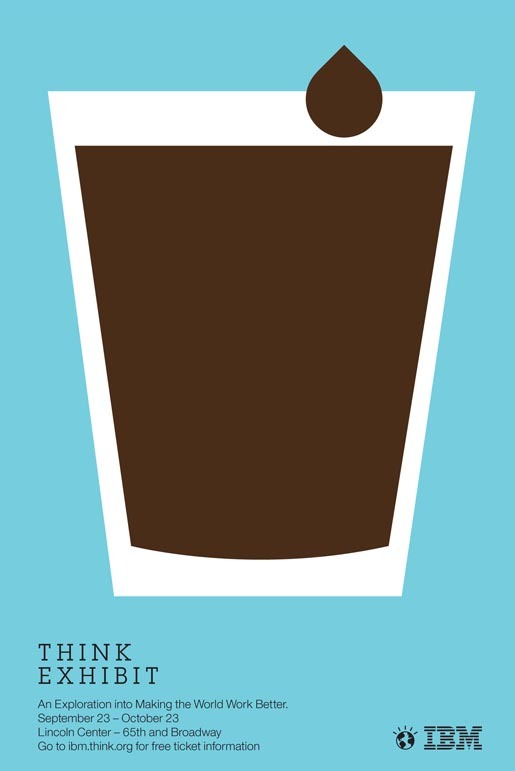 Ogilvy decided the best way to drive foot traffic was the humble poster. 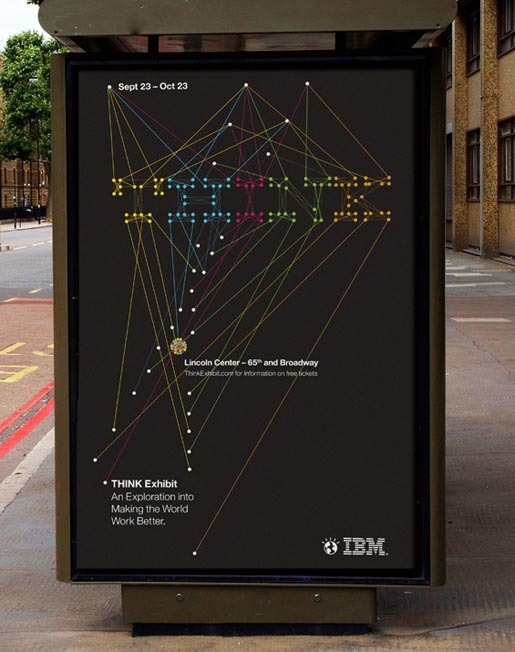 To promote this extraordinarily high-tech event, they employed a low-tech solution that harkened back to IBM’s storied design roots. 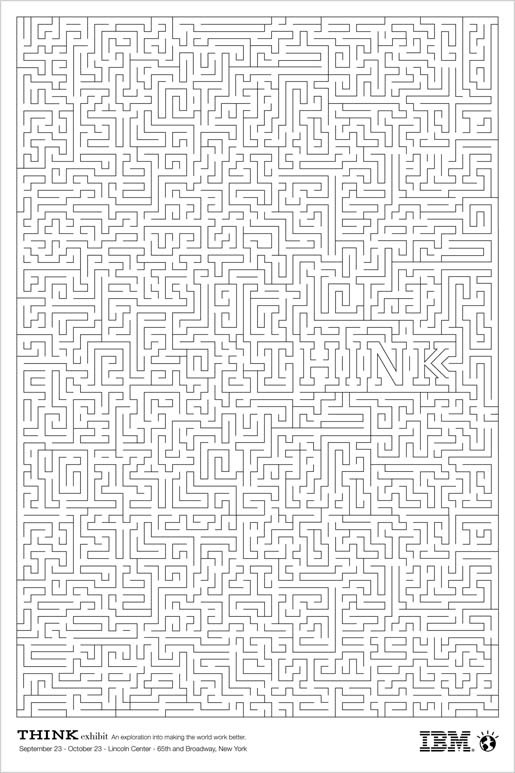 The brief was sent out to the entire agency network. Over 200 submissions were received from offices in New York, Paris, Singapore, London and Brazil. 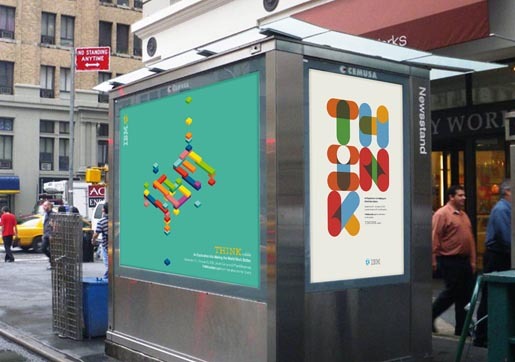 Eighteen were chosen to appear throughout Manhattan on bus shelters and subways, on trains and in wild postings to spur New Yorkers to stop by and visit the exhibit. 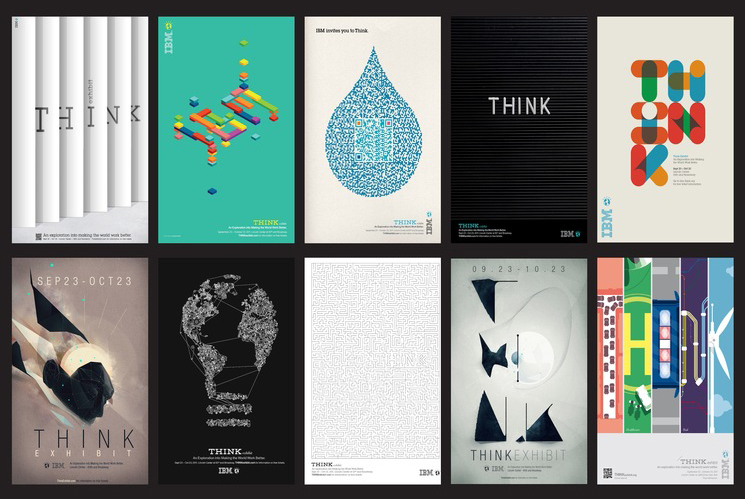 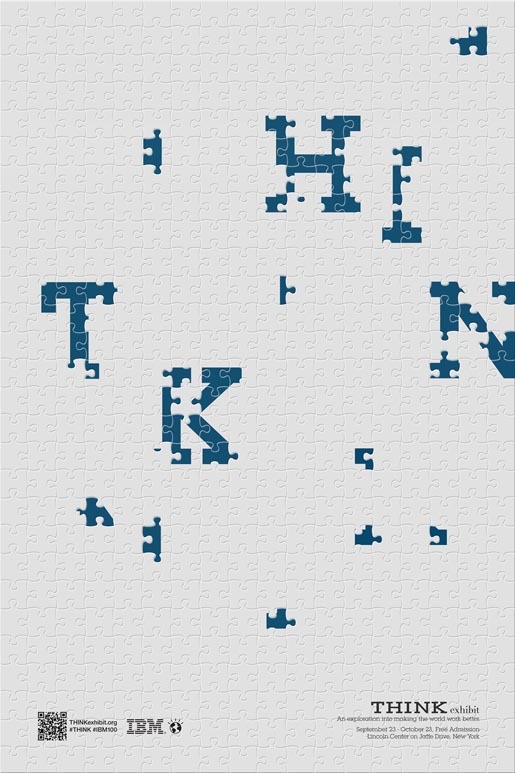 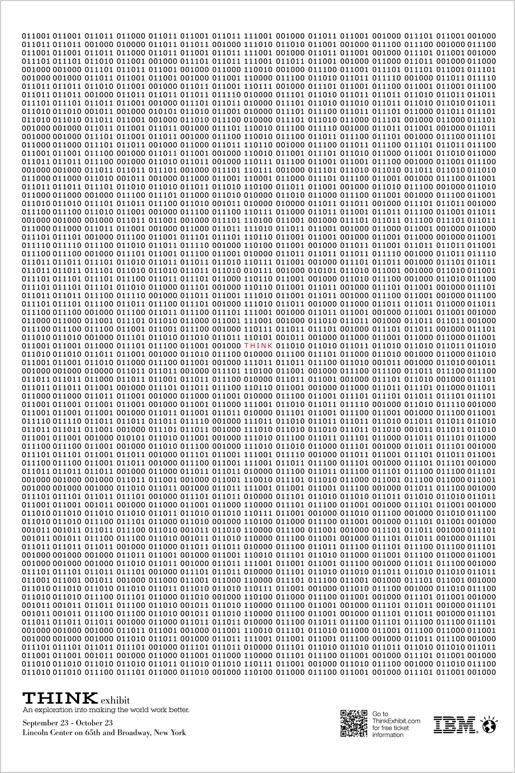 The Think Exhibit Posters campaign was developed at Ogilvy New York, Ogilvy Brazil, Ogilvy London, Ogilvy Paris and Ogilvy Singapore by chief creative officer Steve Simpson, executive creative director Susan Westre, creative directors/art directors/typographers Jeff Curry, Chris Van Oosterhout, Marcos Ribeiro and Sid Tomkins, copywriters Sam Mazur, Leandro Neves and Rafael Campos, art directors/typographers La Mosca, Carl De Torres, Sebastian Onufszak, Mussashi Shintaku, Micky Huang, Ramona Todoca, Johnny Budden and Renato Rozenberg.